The number of suicides among men 75 years or older has increased to the highest level in more than a decade, and federal data indicate that the rate is likely to worsen. Despite this bleak picture, the problem is getting little attention among policy makers but also the general public, Iowans dealing with elderly suicides said. “I speculate that as people get older, they get more invisible,” said John Westefeld, a professor of counseling psychology at the University of Iowa College of Education. Westefeld said people in the mental health community need to step up their efforts to meet the needs of older adults, as well. Thirty-seven Iowa men 75 years or older took their lives in 2013, exceeding the annual average by almost 50 percent, data from the Iowa Department of Health showed. 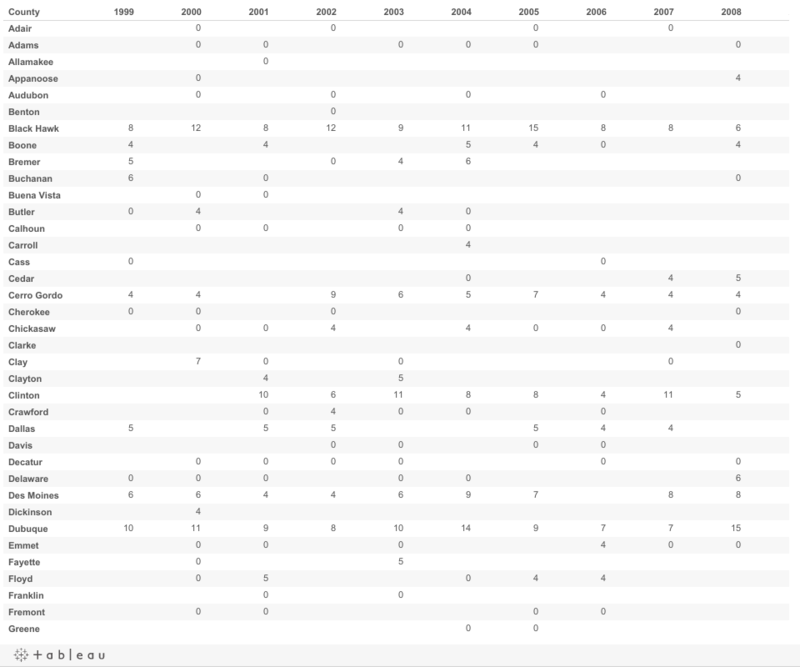 Data for 2014 have not been compiled. Within this group, 18 men were 85 and older when they killed themselves, almost tripling the previous year’s number and surpassing any previous year since 1999, the state data show. The years 2011 and 2009 were next highest since 1999, with 14 and 13 suicides, respectively. 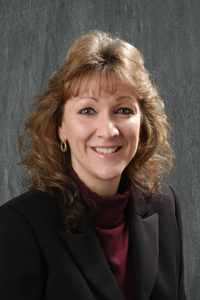 Polly Carver-Kimm, communications director at the Iowa Department of Public Health, cautioned against proclaiming a trend based on one year’s statistics because the numbers are small statistically. But the growth of Iowa’s aging population is trending, and upward. The U.S. Census Bureau projects that in six years, only one other state – North Dakota – will have a higher percentage of people 85 or older than Iowa. Moreover, federal data suggests the potential for problems is likely to get worse in that group of men 75 or older, whose numbers are expected to rise 53 percent by 2030 to 133,860. 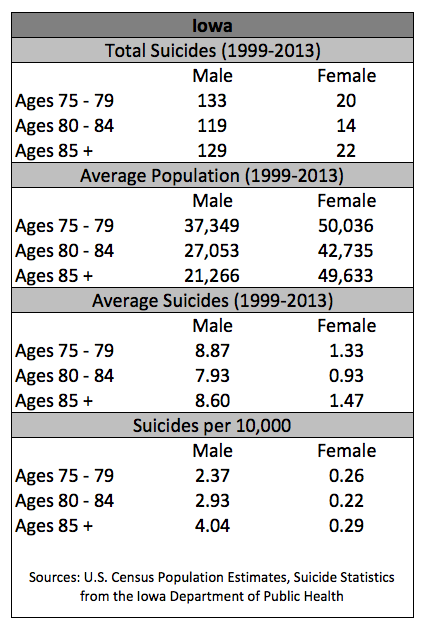 These suicide numbers for male Iowans 75 and older brought the death toll to 381 for the past decade-and-a-half. 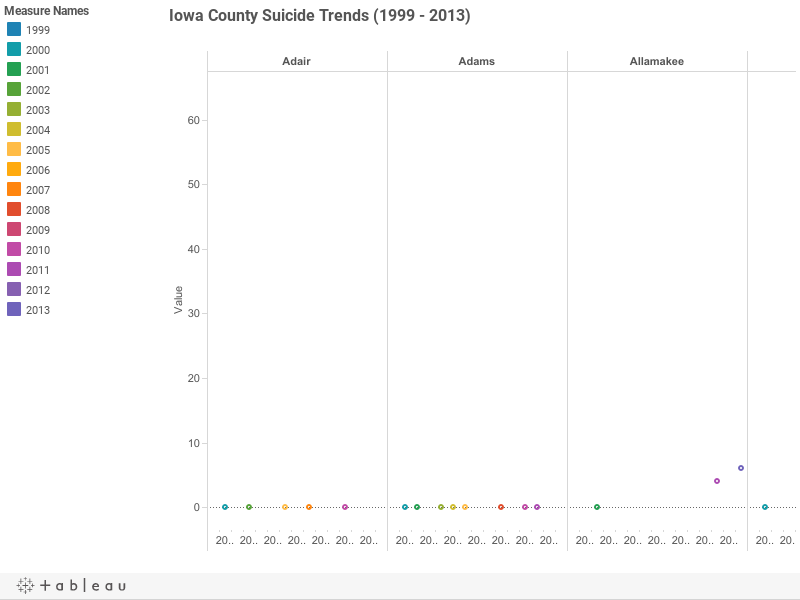 That equates to a rate of 3 suicides per 10,000 people in that age range, data IowaWatch analyzed revealed. “These issues will become ever so much more important as we have many, more older adults reaching both late life as well as surviving serious and chronic medical illnesses,” Susan Schultz, a professor of psychiatry and internal medicine at the University of Iowa Carver College of Medicine, said. Schultz, who is president of the American Geriatrics Association, and Westefeld, who has been working suicide prevention for 35 years, said the problem needs more attention. “We need to find ways to reach them and provide the care that they need even when they are not always willing to ask for it,” Schultz said. Westefeld suggested educational workshops on suicide among older adults in nursing homes. Scott at 2.17, Clinton at 1.86; Dubuque at 1.67, Linn at 1.62 and Pottawattamie at 1.51. State Rep. Joel Fry, R-Osceola, said elderly suicides would get more attention if people bring the problem to the Legislature. Fry was a member of the joint Mental Health and Disability Services Redesign Fiscal Viability Study Committee that worked the last two years on Iowa’s mental health and disability redesign. “If constituents came to us, expressing this as a serious concern, I cannot imagine that we as the Legislature would not do anything about it,” he said. No one has brought the problem to the joint Health and Human Services Appropriation Subcommittee, chairwoman Sen. Amanda Ragan, D-Mason City, said. Legislators are interested in suicide prevention, she said through an aide working with her at the Statehouse, but most of the attention has focused on youth. 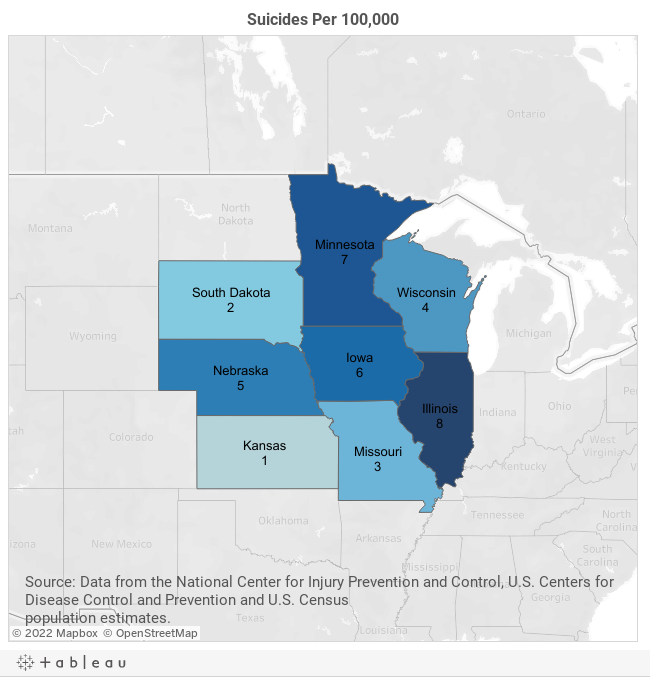 Last year, the Legislature directed the Iowa Department of Public Health and Department of Education to collaborate on advancing suicide prevention efforts, the aide said. 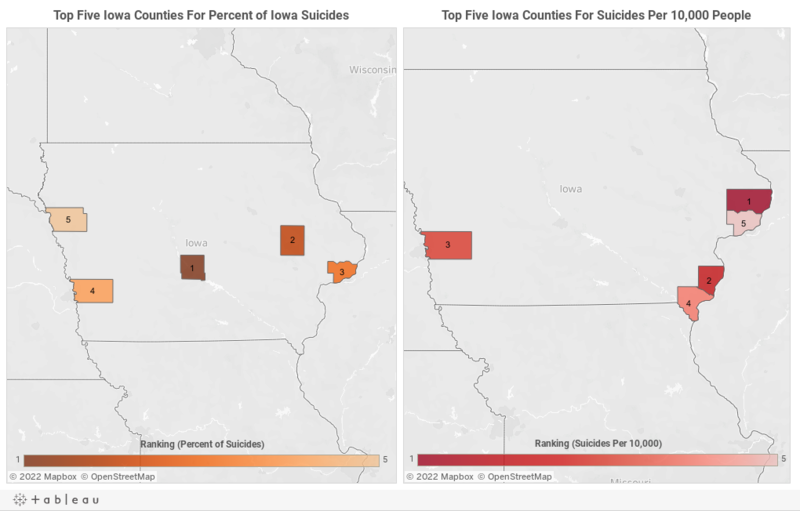 Erin Kurth, public information officer at the Iowa Department on Aging, wrote in an email that the department also is involved at the state level, developing for legislators a agenda for addressing suicide prevention in Iowa. Although the agenda would be general, Kurth said the department is aware that suicide among older adults is a growing problem nationwide and has long been a concern for aging advocates. 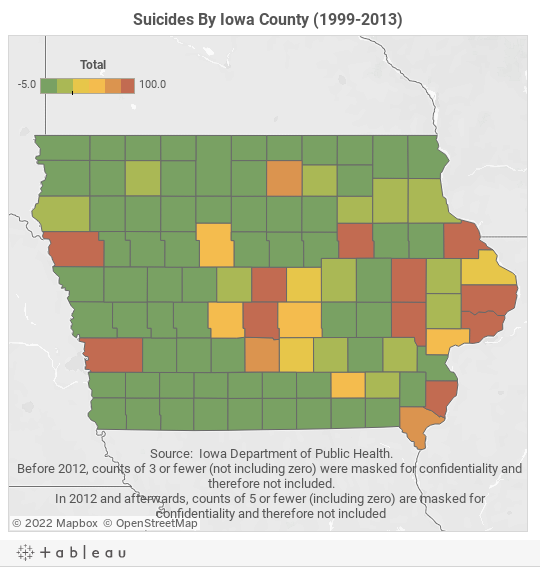 Kurth wrote that the aging department worked with the Iowa Department of Public Health through a 2011-14 Iowa Plan for Suicide Prevention to expand evidence-based early identification and intervention programs. Fry said Iowa underwent a mental health re-design, implemented in July 2014, that changed the funding system for mental health from dispersing funding to each of the state’s 99 counties to dispersing funding to regions. Fry said equal mental health services throughout Iowa, regardless of where you live, will have an impact on all, including older adults. Explanations for the high suicide rate among men over 85 vary widely, but most relate to adjusting to a new reality imposed by aging. Schultz said medical disability and social isolation are two of the key factors. Men over 80 frequently lose the ability to walk safely, drive safely and live alone, she said. 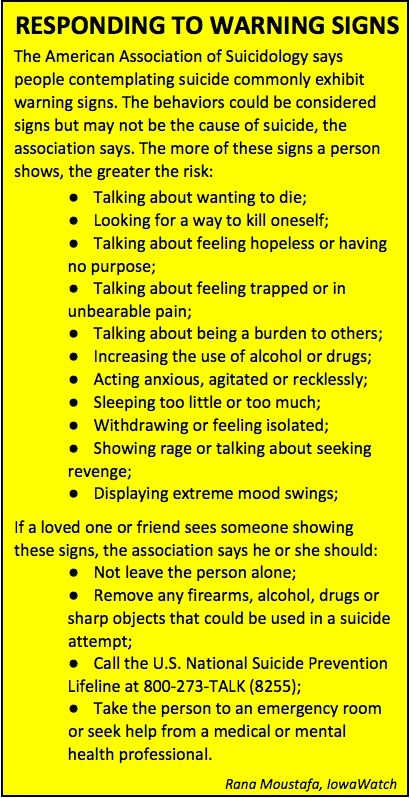 Kurth identified possible risk factors that include mental illness, lack of self-worth, terminal illness, depression/anxiety from loss of control over one’s life, elder abuse and chronic pain. Frank Judisch, a 77-year-old retired ophthalmologist from University of Iowa Hospitals and Clinics in Iowa City, said he suffers from what he describes as “chronic recurring depression” and identifies with some of those factors during his occasional bouts with suicidal thoughts. “Everything looks totally hopeless, totally worthless, totally useless,” he said. 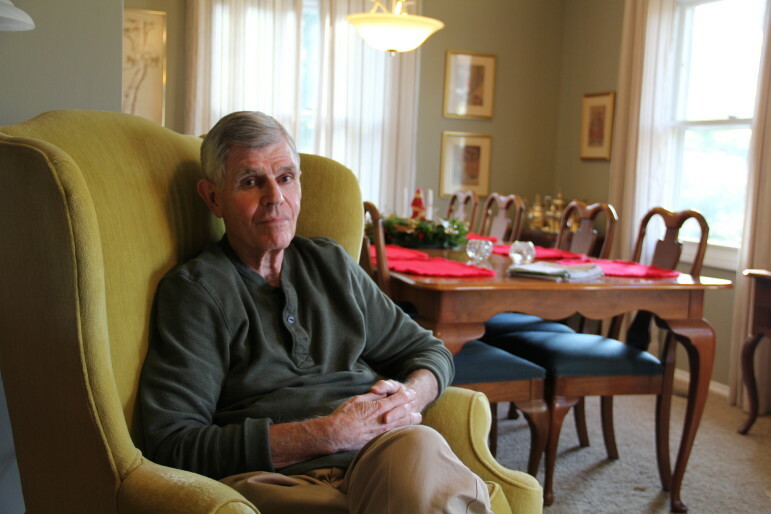 Frank Judisch, 77, posed in his Iowa City home on Dec. 6, 2014. 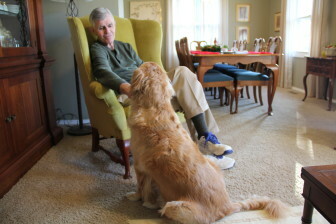 The Judisches live in their Iowa City home with their dog, Zoe. He keeps in close contact with all four of his children who live in Iowa City, Chicago and Sacramento, California. Judisch said he decided against completing suicide after thinking about the stigma and grief that would be brought to his family as well as his personal uncertainty of the morality of suicide. 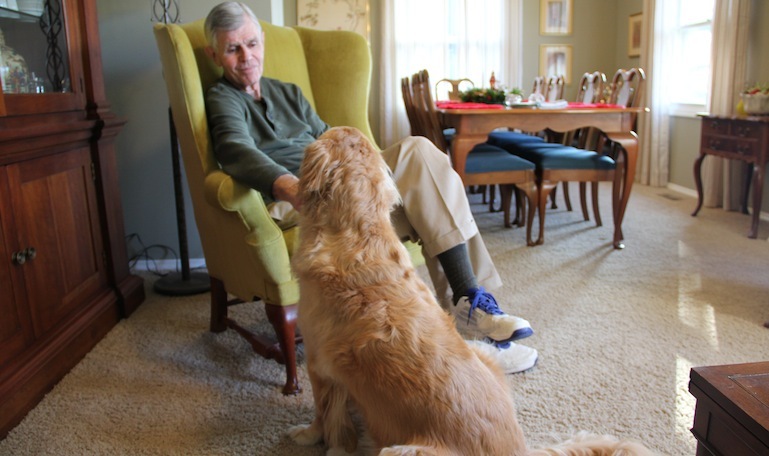 Frank Judisch pets his dog Zoe during a Dec. 6, 2014, interview in his Iowa City home. One of the leading causes of suicide among older adults is depression, which is often undiagnosed and/or untreated, according to the American Association of Suicidology. Judisch was diagnosed with depression some 30 years ago but said he thinks he had it as long ago as high school. He said no one can fully grasp the feeling of depression other than the person experiencing it. Schultz said one reason men over 80 have higher suicides rates than men in their 60s and 70s is that they have lost their wives to death or illness and have difficulty coping. State data show that 14.5 percent of the 248 suicides in 2013 among people 80 or older were women, even though they account for 64 percent that age group. Schultz suggested that appropriate treatment for those in this age group dealing with widowhood and losing friends to death would include church and health center-based support groups for grieving people. She said these groups sometimes are better than counseling services because they provide more emotional support. People over the age of 65 completed 16 percent of all suicides in the United States. Seven of every 10 suicides were completed by firearms, according to the most recent data from the U.S. Centers for Disease Control and Prevention. Kara Graft, wellness counselor at Builders of Hope, an Iowa City-based organization that provides support to people with mental illnesses, said suicidal older adults who seek counseling usually are more reserved than younger people. Keri Neblett, community intervention director at the Johnson County Crisis Center in Iowa City, said that center provides a suicide prevention gatekeeper training program called Question, Persuade and Refer – or QPR – that was developed as suicide prevention for the home bound elderly. Neblett said the training can be tailored for different populations. The Crisis Center partners with University of Iowa and the Iowa City Community School District to train staffs there, for example. In the past, the Crisis Center has provided this training to staff at social service organizations serving the senior population and would partner with these organizations in the future, she said. The Crisis Center crisis line answered 715 calls for all kinds of concerns from people age 65 and older in 2014, the center reported. They were among the 10,446 total calls. Besides working with a state suicide prevention group, the Iowa Department on Aging is working on strengthening what it calls its “no wrong-door” system – LifeLong Links – to ensure older Iowans, Iowans with disabilities, veterans and their caregivers have streamlined access to home and community-based supports and services, including mental health services, Kurth said. Kurth said these efforts complement the statewide efforts of Iowa’s six area agencies on aging. These agencies work with local mental health providers and community mental health centers to assure that those who work with older Iowans and Iowans with disabilities are trained to recognize the symptoms of suicidal behaviors and have access to the appropriate resources needed to help that individual. Westefeld conducts an annual suicide prevention workshop at the University of Iowa College of Education during national suicide prevention week, which is in September. However, he said he doesn’t cover suicide specifically among older adults in any of his classes. IowaWatch data analyst/reporter Lauren Mills and IowaWatch adviser and cofounder Stephen Berry contributed to this story. This IowaWatch story was published by The Gazette (Cedar Rapids, IA), The Hawk Eye (Burlington, IA) and Des Moines Register, and was featured on KXIC radio (Iowa City, IA) under IowaWatch’s mission of sharing stories with media partners.